Do you speak Interior Design? If you’ve been researching remodeling and home design, no doubt you’ve stumbled across some industry terms with which you may not be familiar. So we’ve compiled this list of interior design buzzwords that’ll get you on your way to fluency. 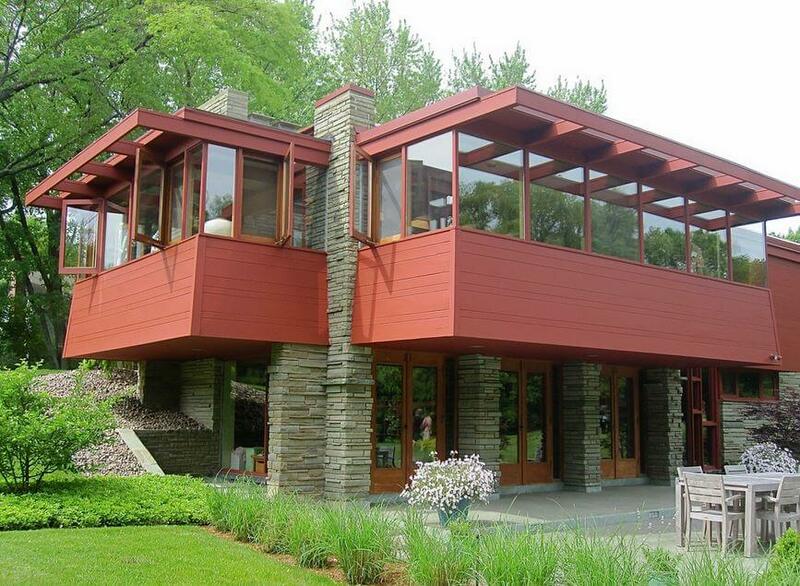 Thank Mad Men for the resurgence of all things mid-century modern, from architecture to furniture and graphic design, to new heights in terms of popularity. It’s chic, simple, functional, and all about clean lines and contemporary patterns. This style, born from the desire to take post-war America into the modern era, spanned about 25 years, from the mid-’40s to 1970. Some might also use the word “upcycling,” but to repurpose something — whether it be furniture or an item you have in your house — means to find a new, creative way to use an existing piece. 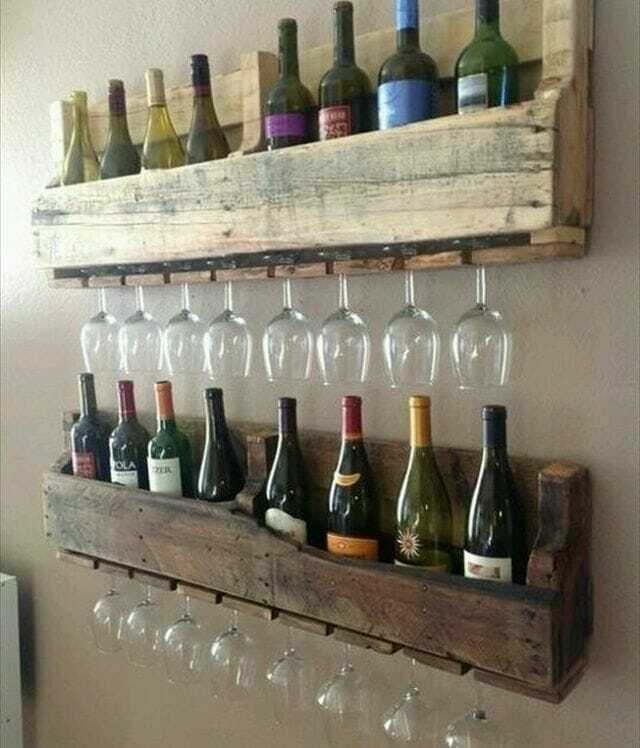 A great example of this is using an old shipping pallet to make a wine bottle and glass storage place. Glamour, elegance, and luxury all describe Art Deco, a style popular between World War I and World War II (think The Great Gatsby). One of the most famous examples of Art Deco architecture is in New York City: the Chrysler Building’s spire. 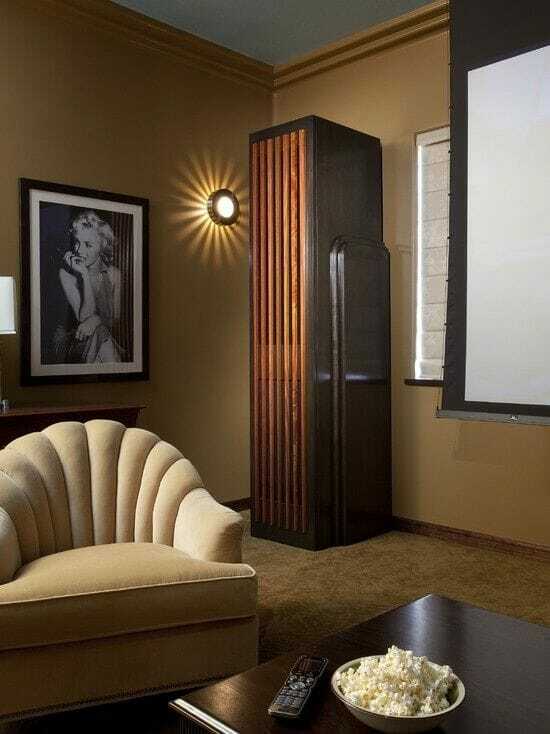 In terms of interior design, Art Deco style is all about bold geometric design, color, sleek surfaces, and luxurious textiles. 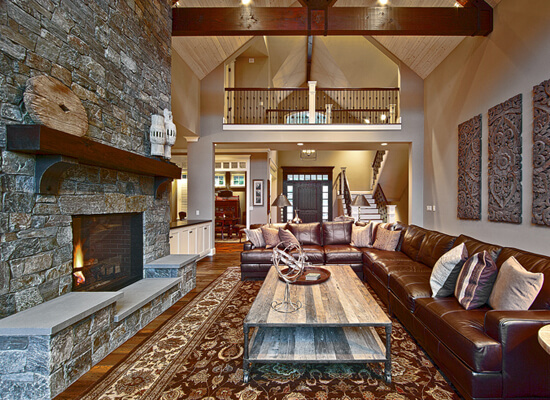 Rustic style is all about the natural beauty of things and a connection to the past. Interiors decorated in this style are simple, unpretentious, and warm. Think organic textures, weathered wood, and earth tones. New Jersey-headquartered Pantone holds secret meetings twice per year in Europe. After two intense days of presentations and conversations, they pick the Pantone Color of the Year. In 2014, that very special color was “Radiant Orchid.” The world waits with bated breath until 2015’s color is revealed. The main question here is, how do you feel while in a space? A busy diner might have energy that makes you want to eat and run, but your home hopefully has the kind of energy that makes you want to stay and relax for a while. Designers can use color and other methods to create different feelings depending on the purpose of the space. What happens to the wood from knocked-down structures? Hopefully it winds up being recycled into something new and beautiful like a dining room table, mantel shelf, or ceiling beams. Reclaimed wood pieces bring warmth and character to a space. Be true to yourself when designing, and your home will scream “authenticity.” This one is all about doing what you love and not just design something a certain way because you’ve seen it in a magazine—you actually like it.